Fast forward some years and the standards development club is barely recognizable. As the cellular influence of BlackBerry, Motorola, Sharp and Sony has waned, so has their involvement in the latest generation of mobile technology. With countries now preparing to switch on 5G networks, just five or six companies are at the forefront of standards development. One of them is Huawei. Recent data hints at the Chinese vendor's emergence as a major patents player on the international stage. In 2008, before any 4G networks had arrived, only 116 of the 2,693 patents filed in Europe for telecom and connectivity technologies belonged to Chinese companies, according to John Strand, a telecom consultant. By 2017, Chinese firms accounted for 1,478 of 3,717 patents, he says. 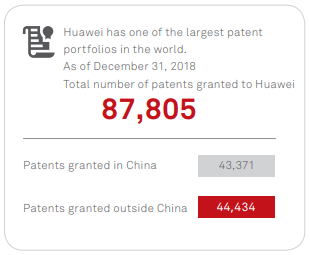 Huawei now claims to have one of the largest patent portfolios in the world. Of the 87,805 patents it holds, 44,434 were granted outside China, including 11,152 in the US, according to its just-published annual report for 2018. Ericsson, one of the other key players, lists just 49,000 patents in total. What this data does not indicate is the relative importance of these various patents. How many of them fall into the category of "standard-essential" cellular patents remains unclear, and neither Ericsson nor Huawei provides further details. 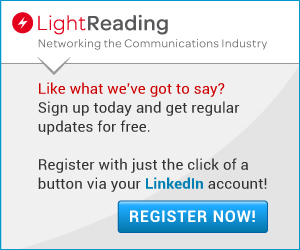 "We do not disclose the number of patent applications or granted patents in any other way than as a total," a spokesperson for Ericsson previously told Light Reading. When asked about Ericsson's 5G patents position, the spokesperson said: "It is much too early to talk about the number of granted patents for 5G. It takes years for patents to be granted and the 5G standard was set only six months ago." Huawei has not responded to a request for additional information. Critics dispute the value of Huawei's IP in cellular, though. One source close to the matter, who preferred to remain anonymous, says there is an "unwritten understanding" within the 3GPP that no one company will be allowed to dominate a standard. Regardless of how many contributions it makes, Huawei is likely to end up with between 8% and 10% of the 5G standard, just like any other big player, he says. A dominant 5G position would translate into big financial gains for Huawei, and perhaps more so than it would for Ericsson, Nokia or Qualcomm, the other movers and shakers in 5G. The reason for that is simple: Huawei is the only one of these companies that still makes end-user devices, and therefore the only one that is both a licensor and a licensee of any significance. In the case of a licensor such as Ericsson, royalties are collected from handset companies that use Ericsson patents. Because the Swedish vendor gave up its own consumer devices business years ago, very little money -- if anything -- flows in the opposite direction. The more Ericsson can charge, the more it makes from licensing. But the strength of rival patent portfolios is not a direct cost concern for Ericsson. That is not true for Huawei. Like Ericsson, the Chinese company generates licensing revenues from companies that use Huawei patents. But unlike Ericsson, its handset business must pay other patent owners to use their technology. Huawei's licensing take is the difference between what it collects as a licensor and what it pays as a licensee. If it could dominate 5G patents, or charge higher fees than other patent owners, it would be able to minimize device costs, maximize revenues and grow its overall take. The money at stake is not insignificant. Last year, Nokia made around €1.5 billion ($1.7 billion, at today's exchange rate) from patent and brand licensing. While Ericsson does not break out the figure, one source says a conservative estimate for annual revenues from patent licensing would be roughly $1.5 billion. Then there is Qualcomm, which recorded $5.2 billion in revenues at its licensing business in the 2018 fiscal year. The San Diego-based firm predicts that around 1.9 billion 3G, 4G and 5G devices will be shipped globally in 2019. Even if Nokia extracts just €3 ($3.36) in royalties per 5G device -- the cap it has promised to apply -- the future sales opportunity for the Finnish firm could be substantial.